The official website for the Strike Witches anime franchise has released a new promotional video. 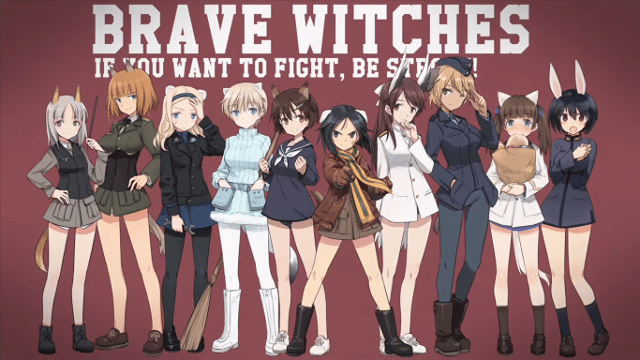 The PV is for the newest anime in the franchise and is called Brave Witches. This anime is not a continuation of the original series, it is a spin-off centered on the 502nd Joint Fighter Wing. The video introduces the members of the 502nd Joint Fighter Wing and also reveals the staff for the anime production. You can check out that PV below. Kazuhiro Takamura is returning to direct the Brave Witches anime. Takamura has directed most of the previous Strike Witches anime. Humikane Shimada is credited as the original character designer for the anime. Striker Unit is responsible for the series composition. The project planning is by Tsuyoshi Kikuchi and Daijō Kudō. The anime is being produced at SILVER LINK. The Strike Witches franchise adapts the mecha-girl illustrations by Humikane Shimada. The illustrations have inspired multiple types of media including 6 different anime, light novels and manga. The official site for the Brave Witches anime will open on April 1. The spin-off anime is set to premiere sometime in 2016.